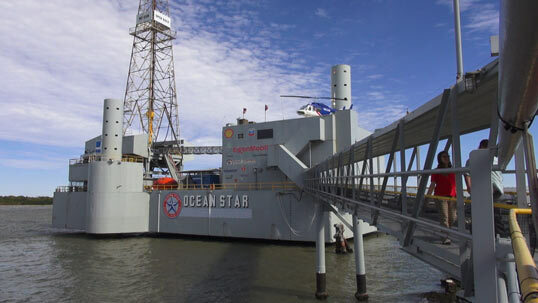 Visitors to the Ocean Star have the opportunity to explore an actual retired jack-up drilling rig. The museum features three floors of models and interactive displays illustrating the story of offshore oil and gas from seismic technology to exploration and production. Scale models of production platforms, actual drill bits and remotely-operated vehicles (ROVs) as well as videos and exhibits explain drilling, geology, seismic, well servicing and production. 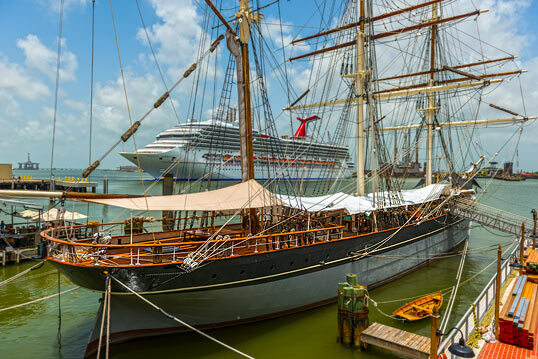 Located in the historic port of Galveston, the Texas Seaport Museum tells the story of a rich legacy of seaborne commerce and immigration. Visitors may look for ancestors on its computer database containing the names of more than 133,000 immigrants who entered the United States through Galveston, “’The Ellis Island of the West.” The Texas Seaport Museum is also home to Galveston Harbor Tours which offers a one hour historic harbor and dolphin watch tour. 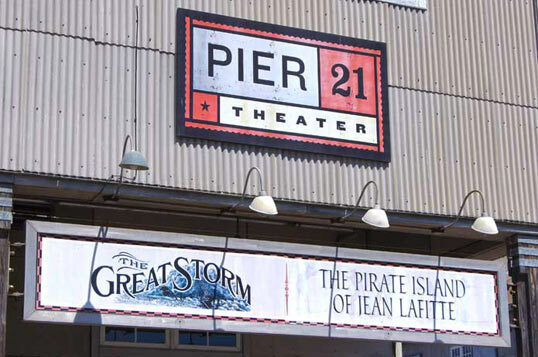 Pier 21 Theater is a family friendly venue that offers three documentary films for history buffs and curious visitors alike. The movies highlight the major events of Galveston Island including the 1900 storm that ravaged the island and chronicles of Galveston’s beloved pirate history. For those interested in the 1900 story, The Great Storm, is a 27-minute documentary that tells the incredible story of the deadliest natural disaster in United States history through personal letters, photos and articles. The Great Storm is shown hourly and was directed by C. Grant Mitchell. Pirate enthusiasts are sure to enjoy the 18-minute Pirate Island chronicles the adventures of the infamous Jean Laffite who called Galveston home for three years. Pirate Island is shown on the half hour and was directed by C. Grant Mitchell. Fans of the hit television show, “Who Do You Think You Are” will enjoy Galveston – Gateway on the Gulf, a 56-minute PBS documentary on immigration. This film gives a history of Galveston as a port of entry for more than 133,000 immigrants and is shown at 10 a.m. and 4 p.m.
Pier 21 Theater is managed by the Galveston Historical Foundation and owned and operated by Mitchell Historic Properties. For more information, call (409) 763-8808.